Fresh from her star turn last year as the Witch in Upstart’s acclaimed production of Into The Woods, Rachel Alejandro returns to the stage in John Cariani’s Love/Sick, directed by Joel Trinidad. Tickets at P500 each. For ticket and show buying information, contact Upstart Productions at 09178116516 or upstarttickets@gmail.com. 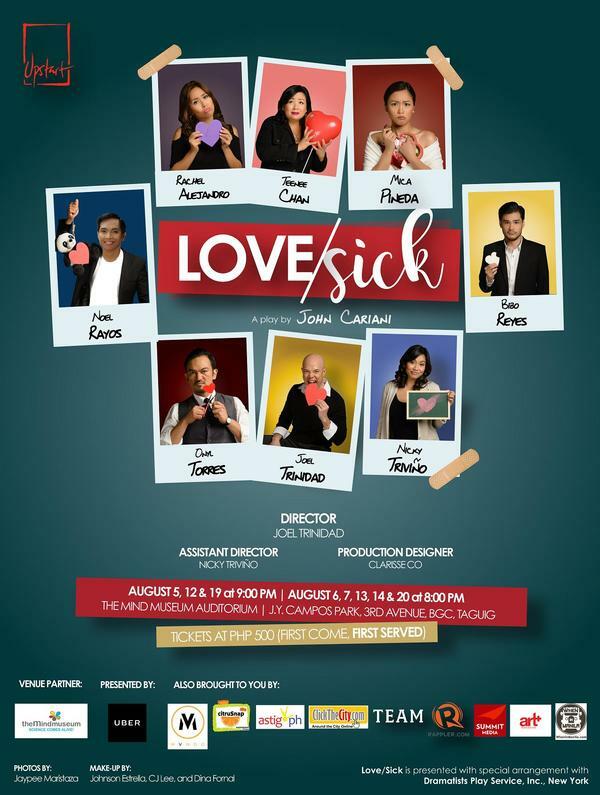 Love/Sick is presented by special arrangement with Dramatists Play Service, Inc., New York. 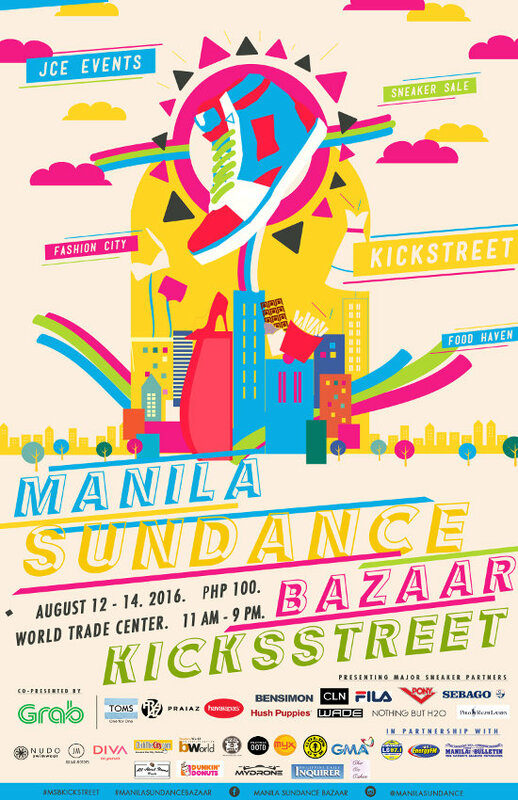 Kick it with an epic MSB-revamp of our favorite sneaker and fashion fair this August! Experience an ultimate shopping SALE of top sneaker and shoe brands, online local fashion brands, while dining to a gastronomical mini-food fair, and winning awesome MSB-shopper treats such as PHP 500-GCs, free flip flops and swimwear, free Dunkin Donuts and coffee, free MSB items like shirts and cookies and FREE SHOES from top brands such as Adidas, Nike, New Balance, TOMS, Sebago, Hush Puppies, CLN, Fila , Wade and many more shoe brands! So many surprises await all MSB goers so be sure to drop by The World Trade Center, Pasay to experience the most innovative sneaker-fashion fair of the Metro! Find more updates and giveaways on the official Manila Sundance Instagram social: @manilasundance. An exciting lineup of comebacks and new projects are to be expected as the Philippine Educational Theater (PETA), gears towards its golden year! Opening the 49th theater season is one of PETA’s biggest hits; the comedy musical Rak of Aegis is back for its 5th rerun, happening from June to August 2016 with 82 shows. 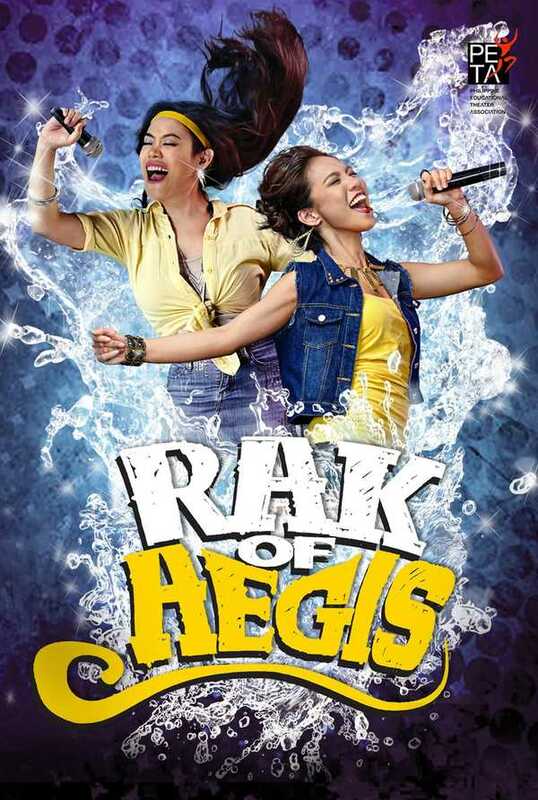 Rak of Aegis features Aileen, a promodizer with big dreams of raising her family from the knee-deep floods that have plagued their town for months. This original Filipino musical features songs from the iconic band Aegis, with songs such as “Luha” “Halik” and “Basang-basa sa Ulan” with a star-studded ensemble on an award winning, must-see set. Andres Bonifacio and the Katipuneros declared themselves and the country free from foreign rule on August 23, 1896 (officially). One hundred years later to the day, a small Filipiniana library opened in Makati City. Aside from the care of its collections, the library has envisioned to share these “printed, aural, and visual stories” to the world. It aggregated LibraryLink, a union catalog of Filipiniana libraries in the country, in 1997. It published CD-Roms and books on anthropology, culture, and history, including Quijano de Manila’s A Question of Heroes. 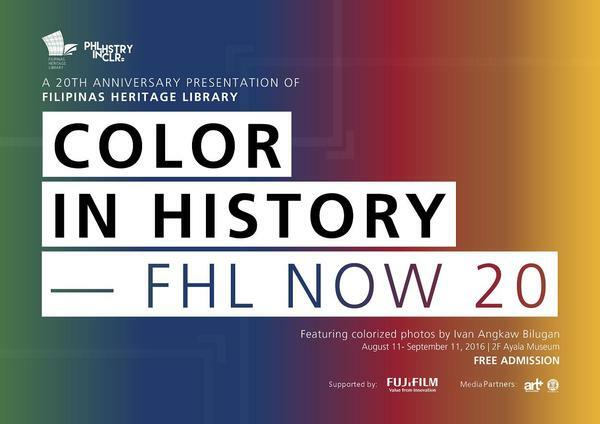 And since 2013, when it became one-half of Ayala Foundation, Inc.’s Arts and Culture Division (along with Ayala Museum), FHL has created online and physical exhibits on World War II, book design and production, and currently, on the play of color in library materials. Yabang Pinoy has constantly uphold its advocacy of choosing and prioritizing Filipino-made ideas, products and services by supporting the efforts of some organizations lobbying for the revival of “Made in the Philippines Week”. Usually observed on the third week of August, the “Made in the Philippines Week” urges Filipinos to contribute to the growth of local industries by patronizing and prioritizing Filipino products for their personal and home needs. In the past, celebrations of “Made in the Philippines Week” include exhibits, expos, lectures, and bazaars showcasing Philippine products and services. Entering into another decade of Filipino excellence and ingenuity, Yabang Pinoy strives to create programs and projects that inspire local artists and entrepreneurs to create masterpieces. 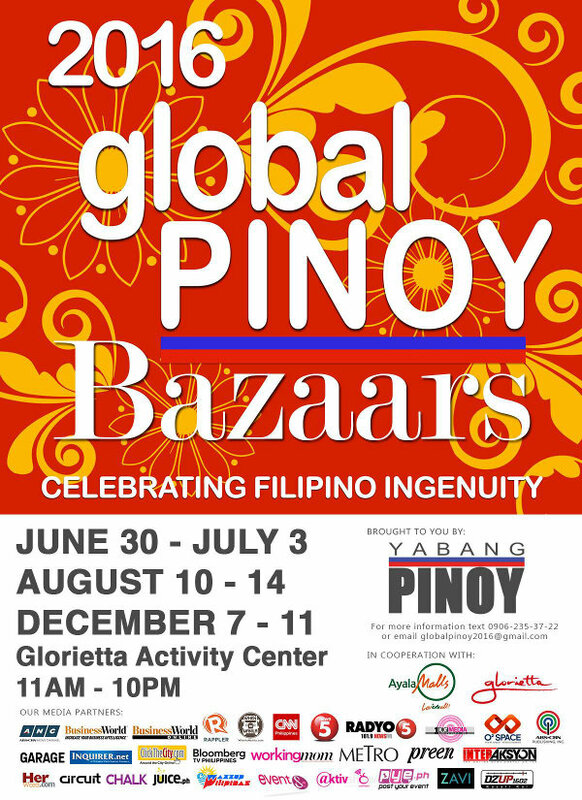 One of the projects that boosts Filipino entrepreneurial spirit since the organization’s establishment in 2005 is the Global Pinoy Bazaar. The movement believes that by staging projects such as Global Pinoy Bazaar, it may become instrumental in the revival of Proclamation No. 76. 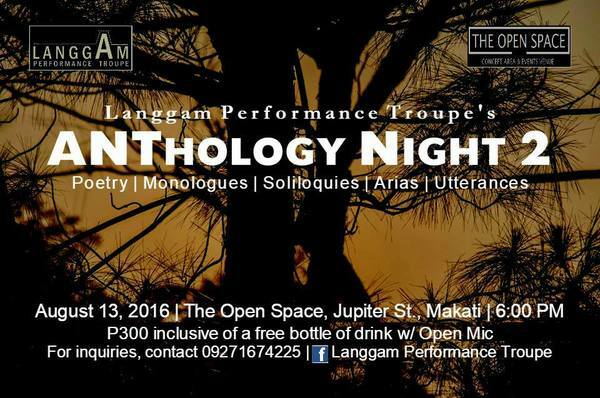 ANThology Night 2 is the second installment of Langgam Performance Troupe’s ongoing fundraising series. The fundraiser hosts an evening of open-mic, anything-goes performances, including poetry reading, monologues, music, dances, performance/installation art, storytelling, spoken word, original performance pieces, and other new works-in-progress. Entrance fee is Php 300 which comes with a free drink and an opportunity to perform at the Open Mic! No specific criteria for performance, except that it should be limited to 5-7 minutes. The fundraiser will also be selling the following inside: food, drinks, and used books, clothes, and accessories. Imagine not one but five lead singers on one stage, with their powerful voices performing the most iconic hits from AC/DC, Queen, Led Zeppelin, Aerosmith, Guns n' Roses, and many more, in close harmony singing. That's what you get with the Tenors of Rock. And they’re coming to Manila for a spectacular show, the likes of which have never been staged before in the country. 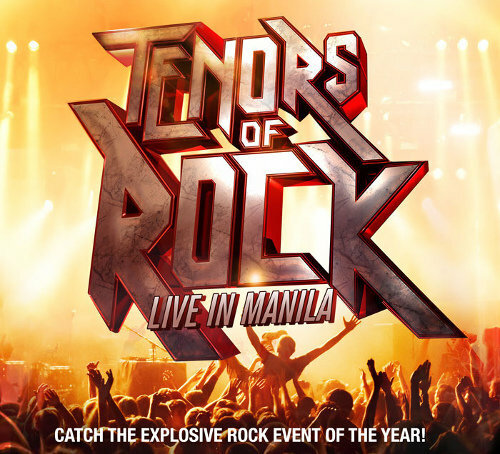 The Tenors of Rock is a supergroup of seasoned performers from the UK, each boasting a solid musical background as a West End singer-actor and/or vocalist for various bands, before uniting to form the world’s only rock vocal group today. Expect thrilling set pieces, light shows, 3D projections, astounding dance moves and an awesome live band to back up the explosive rock vocal event of the year! For more details, please call RWM Box Office at +632-908-8000 local 7700 or TicketWorld at +632-891-9999. 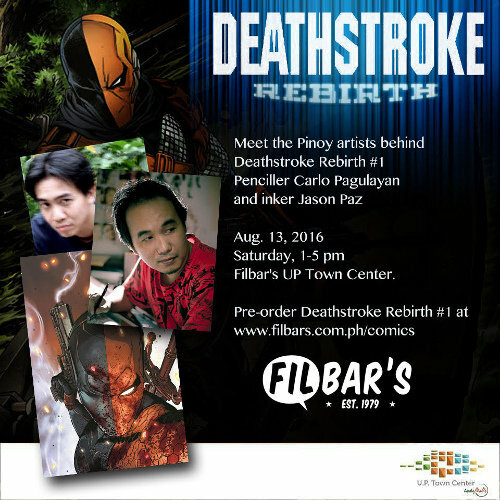 Meet and greet the Filipino art team behind DC Comics’ new Deathstroke series, penciller Carlo Pagulayan and inker Michael Jason Paz on Aug. 13, Saturday, 1-5 pm at Filbar’s U.P. Town Center. The artists will sign copies of Deathstroke: Rebirth one-shot which also features cover art by ACO and Stephen Platt. Fans can reserve copies ahead at filbars.com.ph/comics before Tuesday noon cut-off. 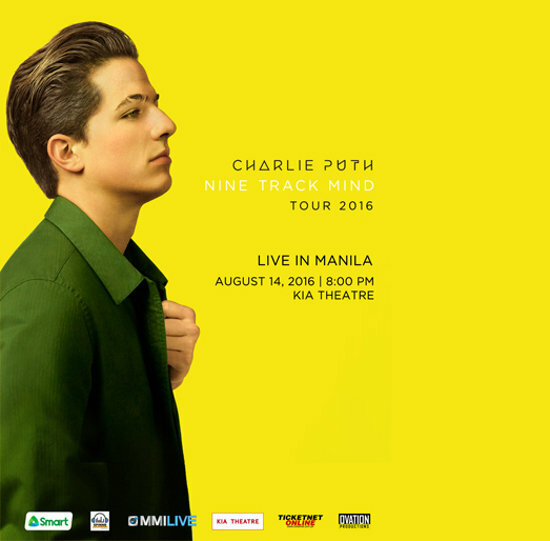 Manila will once again be serenaded by Charlie Puth who is behind the hit songs See You Again, Marvin Gaye, One Call Away and We Don't Talk Anymore for a one night show. Puth gained popularity by posting his works on YouTube. He then released two EPs –The Otto Tunes (2010) and Ego (2013) as an independent artist. In 2015, he got signed by Atlantic Records and released his debut single Marvin Gaye which features vocals from Meghan Trainor. He also co-wrote, co-produced and was featured on Wiz Khalifa's Furious 7 song See You Again which received a 4x Platinum, topped the Billboard Hot 100 chart for 12 weeks and became number 1 in over 100 countries. 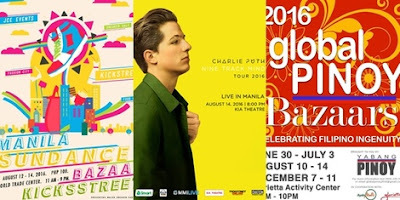 Let's have a listen to his melodious tunes before his first live concert this August 14 at the Kia Theatre.